Tree Of Life For Animals founder Rachel Wright has just been announced as one of the recipients for this year’s prestigious International Award from the Royal College of Veterinary Surgeons. 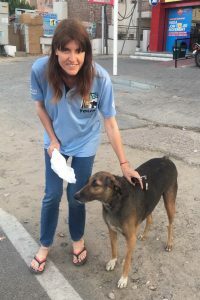 The board “unanimously agreed” to award Rachel, who set up TOLFA, a veterinary hospital and animal shelter in Rajasthan, India twelve years ago. Sterilized 21,377 animals and rabies-vaccinated 26,156 street dogs. TOLFA’s education projects have taught lessons to more than 5,600 children on dog-bites and rabies prevention and the importance of the animal Five Freedoms.